Why this ECB meeting matters? The European Central Bank is meeting today and investors will be paying more attention than the usual to remarks from ECB President Mario Draghi. But why? In the last few years, the European economy has been recovering from a deep financial crisis. Since then, the regional regulator has been applying a series of economic stimulus designed to revive inflation, growth and well, everything else. After a long waiting, euro zone inflation -one of ECB’s key indicators of recovery- has finally reached the famous 2 percent target set by the regulator, while the rest of economic reports also played out well, showing most of them optimistic figures. 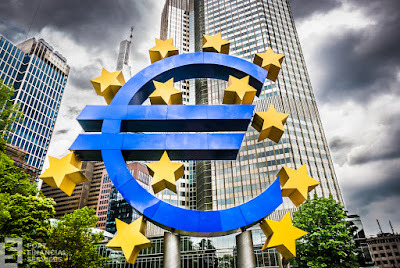 The logic says that if the economy recovers, the ECB should gradually start normalizing its monetary policy configuration by removing the stimulus programs, also known as “easy money”. But so far, it seems that Mario Draghi is not ready yet to let the quantitative easing program go away. As he said in the past, recent inflation growth is mainly a result of higher energy prices. While that could be the main reason to avoid suspension of stimulus programs, there are other factors weighing in. For instance, presidential elections in France, the Netherlands and Germany. These three present themselves as high-risk events and they have increased uncertainty among investors. For that, the regulator prefers to adopt a wait-and-see stand. What to expect from this meeting? ECB authorities are expected to update its inflation outlook for 2017 when publishing its quarterly inflation and growth forecast for the next 3 years. As for stimulus, there is a general feeling that no changes will be made soon. If you are interested about real changes, meaning cancelling economic stimulus or raising interest rates, you should look a bit further on the timeline. Investment bank Goldman Sachs is placing its bets on a change no sooner than 2019. Morgan Stanley analysts also think rates will stay steady during this and next year.